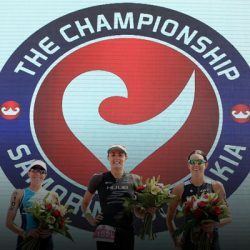 A single day of racing isn’t enough for several of the professional triathletes slated to compete in Sunday’s Middle Distance Triathlon at CHALLENGEDAYTONA Triathlon Powered by the Y. Five of the field’s top contenders will also join a roster of VIP teammates on Saturday for a fast and furious Pro Am Sprint Relay. 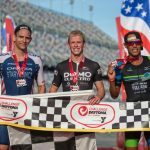 The CHALLENGEDAYTONA Pro Am Sprint Relay includes five all-star teams, comprised of professional triathletes, world-renowned NASCAR names, and VIP community members. 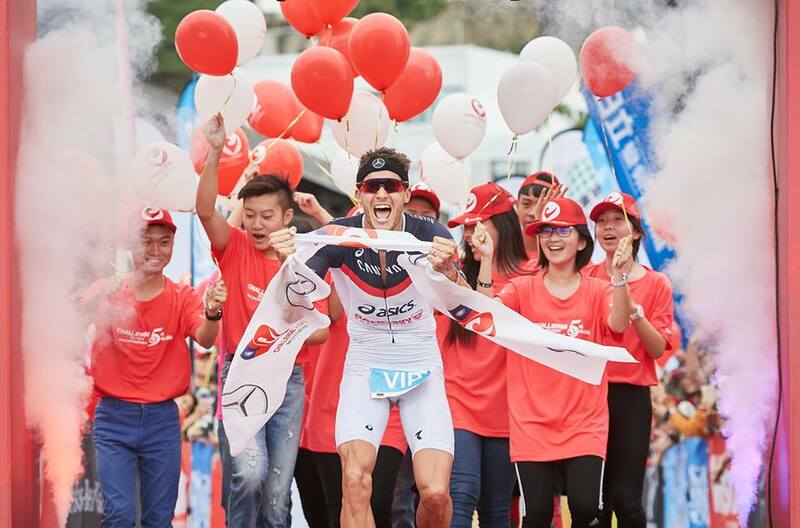 Team CK features Tony Dodds (aka Doddsy), a professional triathlete hailing from New Zealand. 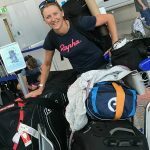 Dodds, an Olympian and Commonwealth Games competitor with an all-out “lead from the front” approach, promises to set his team up well with a powerful swim. 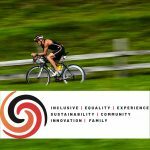 Following Dodds on the bike is medical device executive Bill Christy, a passionate triathlete and instrumental member of the CHALLENGEDAYTONA organization. Christy’s deep ties to the NASCAR community fuel his unwavering dedication to creating an unprecedented race experience for all CHALLENGEDAYTONA athletes. Anchoring Team CK is Wall Street whiz Caroline Moore who, along with boyfriend Xander Carpousis, serves as an unequivocally positive and inspirational ambassador to the sport. Another New Zealand athlete and arguably one of the sport’s top swimmers, pro Dylan McNeice headlines the action for Team ACTri. 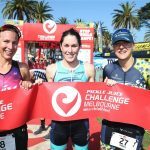 McNeice’s winning ways are well documented in the CHALLENGEFAMILY archives, as the talented Kiwi has taken top honors at CHALLENGEWANAKA and CHALLENGETAIWAN. Local restauranteur Adam Barringer tackles the bike leg of this all-star team before also competing in the individual Middle Distance on Sunday. Barringer rallied his SoNapa Grille employees to support the weekend’s races by staffing nutrition aid stations on course. Juan Guevara, co-owner of The Running Elements, the Official Retail Running Store of CHALLENGEDAYTONA, is the obvious choice to anchor Team ACTri. Guevara, along with wife Katrina, are vital members of the local endurance sport community. 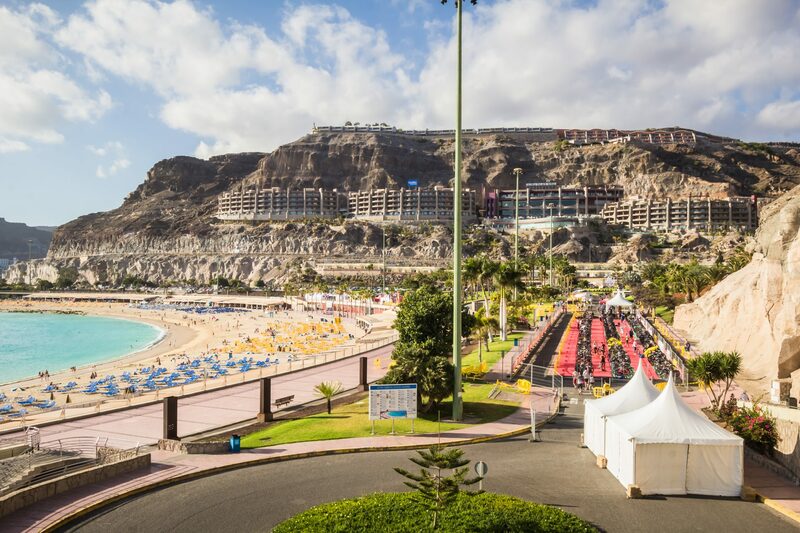 Australian pro Cameron Wurf is best known for his blistering bike speed, having twice set the course record at the World Championship in Hawaii. Wurf will take to the water in Lake Lloyd on Saturday, leading Team NASCAR in the Pro Am Sprint. Fittingly, Team NASCAR’s cyclist is none other than Lesa Kennedy, Vice Chairperson of NASCAR and CEO of International Speedway Corporation, and an avid endurance athlete. NASCAR employee Wendy Graff will proudly carry the company standard during the relay’s run leg. American triathlon pro AJ Baucco brings his professional racing and coaching experience as the swimming lead for Team IMSA. In addition to Baucco’s many accolades as an elite triathlete and coach, he proudly claims the title of Beer Mile Champion. Eddie Cheever Jr. is no stranger to Daytona International Speedway. Instead of piloting a Formula 1 race car on Saturday, the former Indianapolis 500 champion driver will cycle around the track during the all-star relay. Closing out the competition for Team IMSA is runner Xander Carpousis, age-group ambassador extraordinaire to the sport with an unparalleled spirit of generosity and inclusion. Four-time Paralympic athlete and multi-time Paralympic medalist in swimming, Rudy Garcia-Tolson takes to the water as Team RWB’s swimmer. Garcia-Tolson’s motto of “No Legs, No Limits” conveys the physical challenge that he has overcome as a double above-the-knee amputee and an unstoppable athlete. Cycling for Team RWB is Sergeant Brad Cory, an active-duty member of the U.S. Military and a National Guardsman. The run leg features triathlete Richard Wimmer, who in addition to competing on both Saturday and Sunday, joins CHALLENGEDAYTONA as a VIP Experience guest, benefitting The NASCAR Foundation. The Pro Am Relay will start in the water just prior to the rolling age group start of the CHALLENGEDAYTONA Sprint Distance Triathlon on Saturday, December 8th at 7:00 a.m. The CHALLENGEDAYTONA festival weekend will be the first of its kind at Daytona International Speedway, offering an event for every level of athlete: Sprint and Middle Distance Triathlons, the Junior Challenge kids’ race, Relay categories, Duathlon and Aquabike events, 10K run and 5K run/walk events, and the all-new NASCAR-inspired Pitstop Challenge. Registration for all CHALLENGEDAYTONA Triathlon Powered by the Y events remains open at www.challenge-daytona.com and onsite throughout the weekend. For information about CHALLENGEDAYTONA’s exclusive VIP Experiences to benefit The NASCAR Foundation, please contact challengedaytona@nascarfoundation.org.